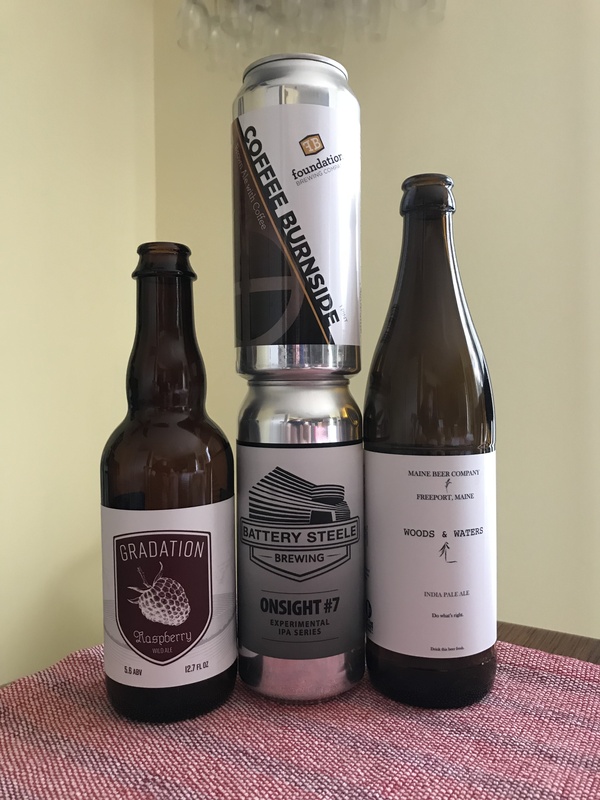 Brewtal Battle Podcast | Let the battle begin! 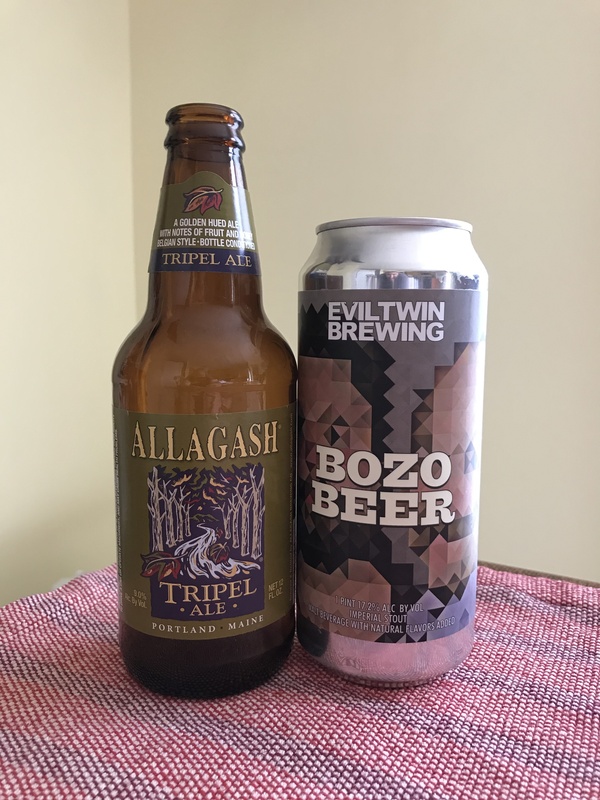 Reaching back into the cellar, Carlin and Rebecca each pull out two similar beers for their entries into this beer throwdown. 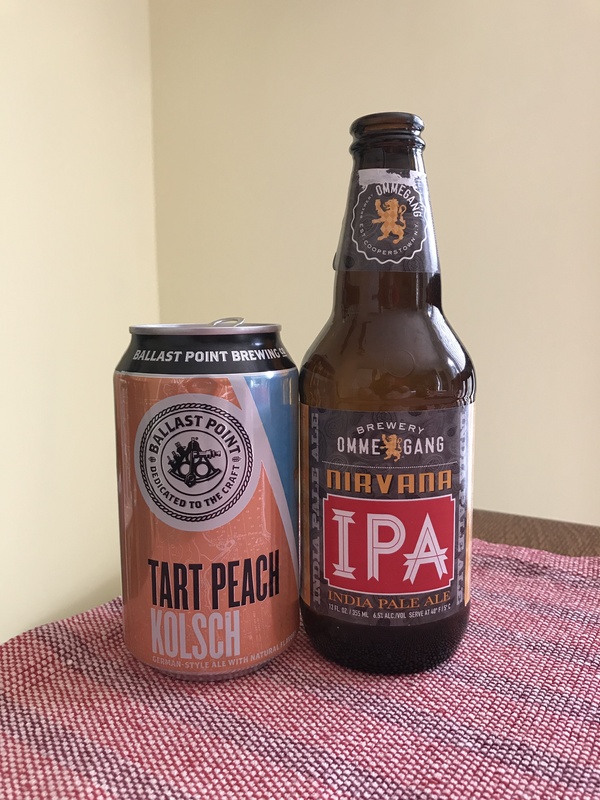 One beer makes a somewhat disappointing showing, while another really surprises both hosts. 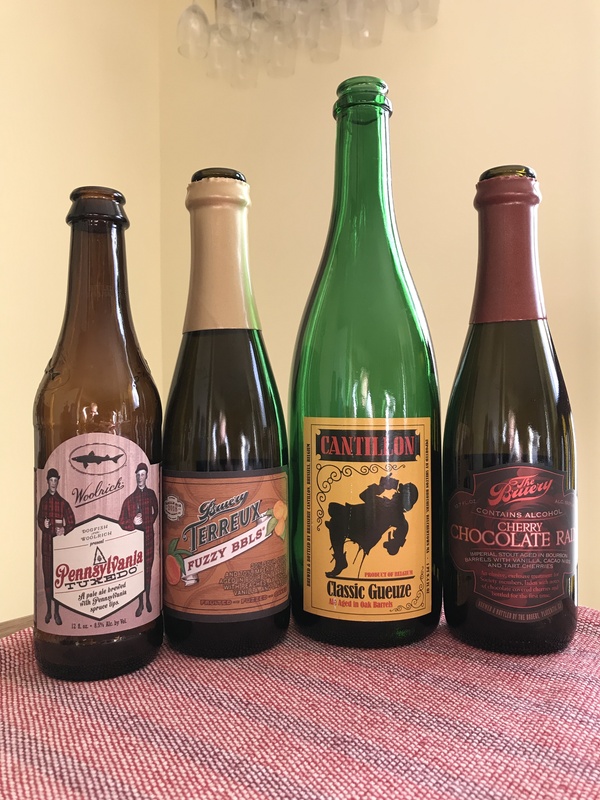 This brand new episode format is inspired by Carlin’s love of The Bruery beers and is further pushed by his backlog of bottles and cans from his membership in the Bruery Reserve Society. Listen as Carlin cracks open four barrel-aged beauties and brakes down the aromas and flavors. Carlin sets up a mini deca-sode for Rebecca with mystery beers of one particular style sub-category. 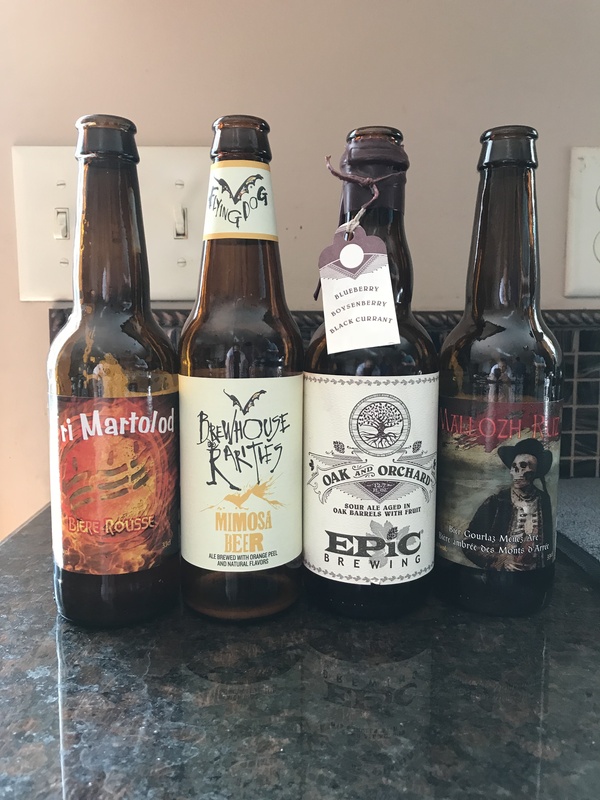 There are six beers and a range of levels of success in execution. Which one is the best? 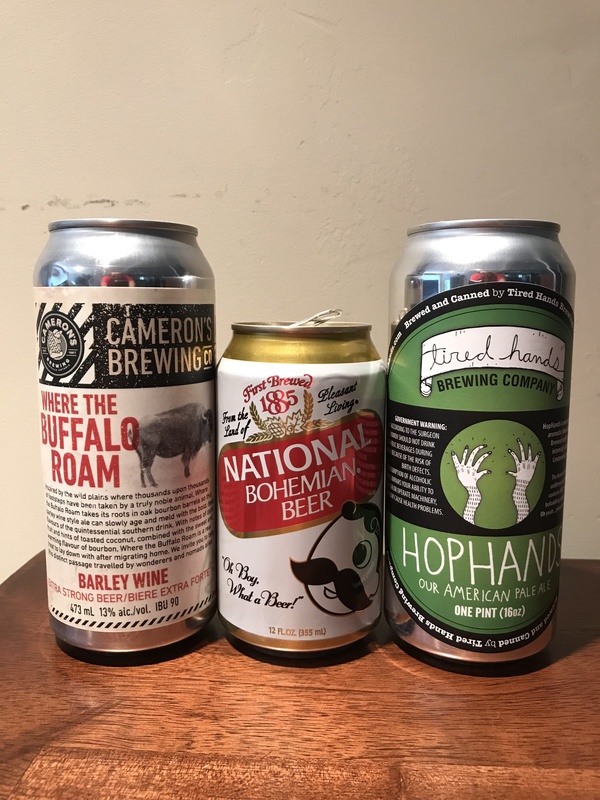 This new episode format features four beers given to Carlin and Rebecca by long-time listener Kyle Norman. 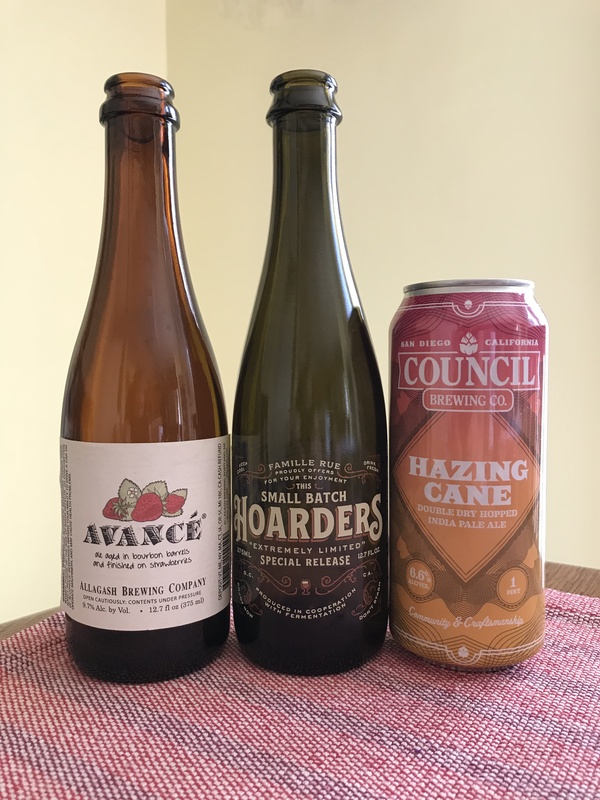 The first two go straight for the hazy IPA trend and the last two are significantly more unique. 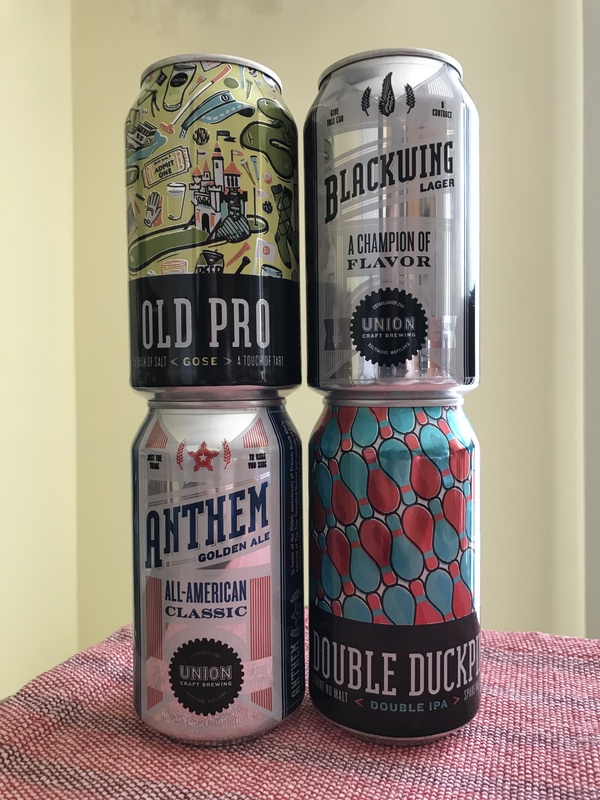 Carlin had one recently released beer sitting in the fridge, so he decided to ask Rebecca to grab three more for an episode. 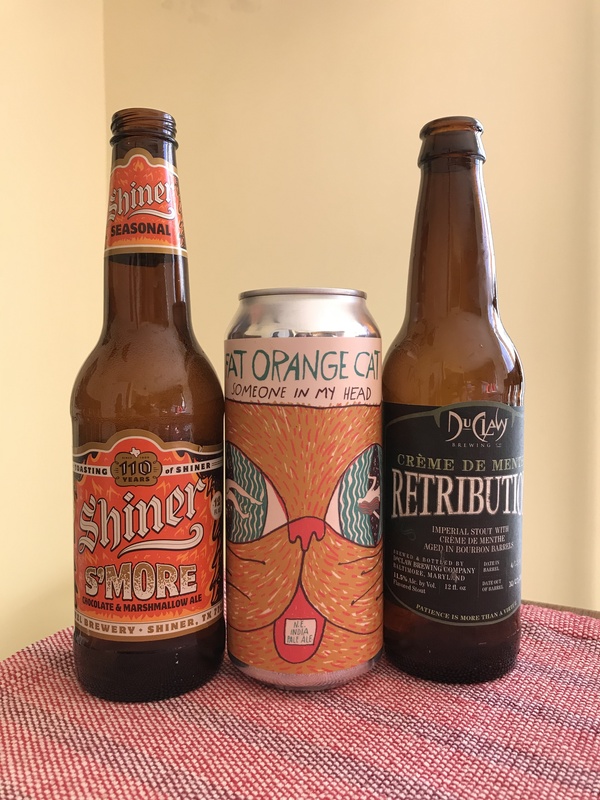 One beer greatly impresses, one is very interesting and confusing, and the others are solid. Listen to find out what’s what. 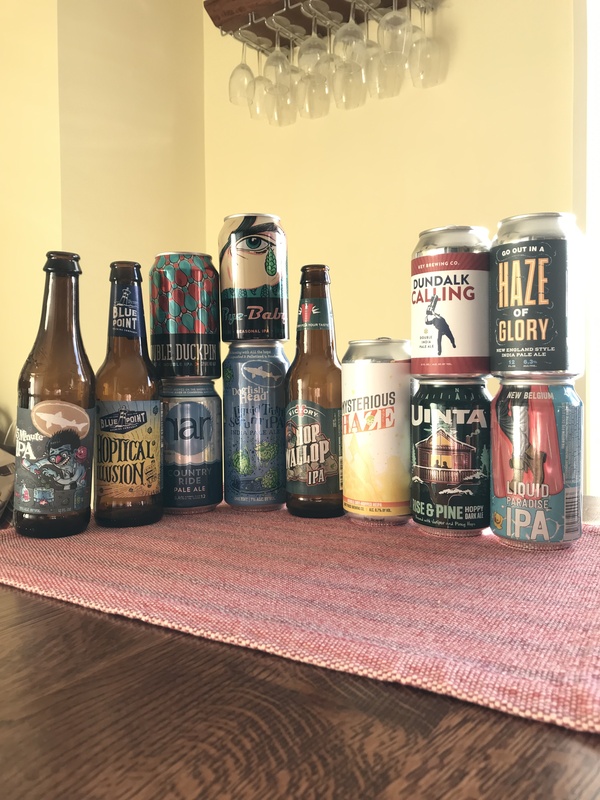 With no warm-up beer for this episode, Carlin and Mark Zervas jump right in to the main discussion topic. 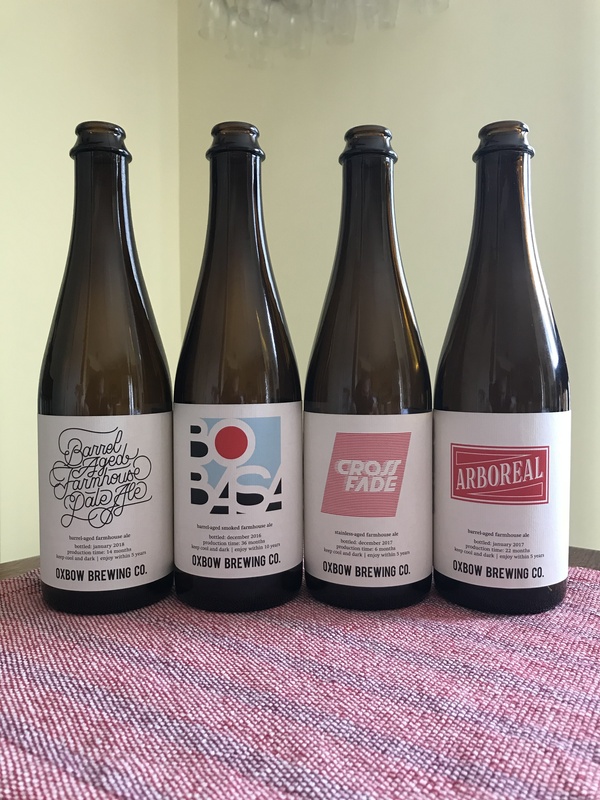 Recently AB InBev invested in Tilray Incorporated for research of cannabis infused beverages. 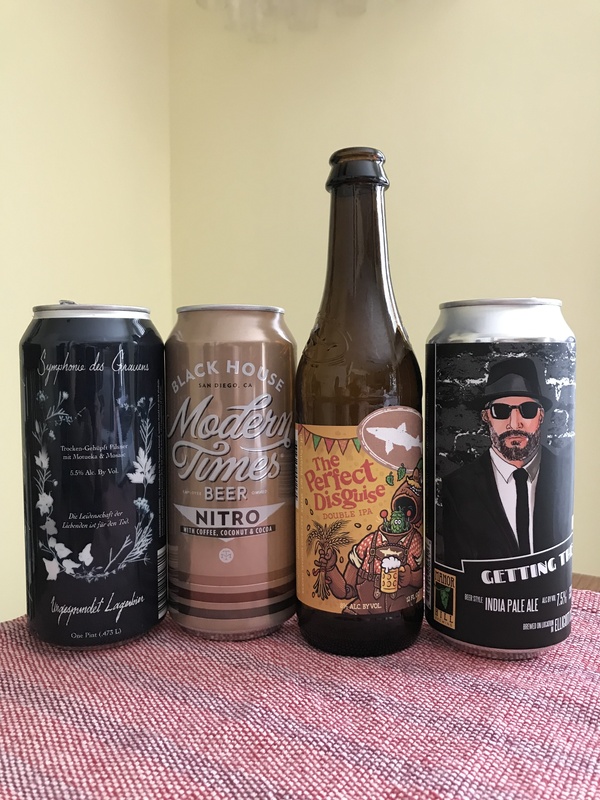 Carlin and Mark talk about this and the use of cannabis and its derivatives in the craft beer industry. Carlin and Mark Zervas start with another warm-up beer, which hits the tasting notes Mark has been craving recently. 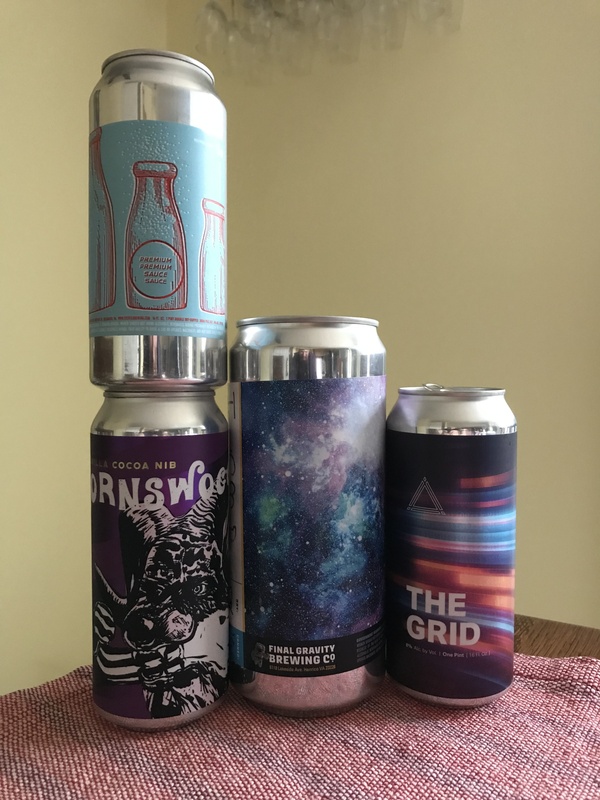 The guys then discuss a new venture by Tired Hands Brewing that is allowing them to ship beer within their home state of Pennsylvania. It’s been over a year since Mark Zervas has been on the podcast, which means it’s about time for him to be the guest host. 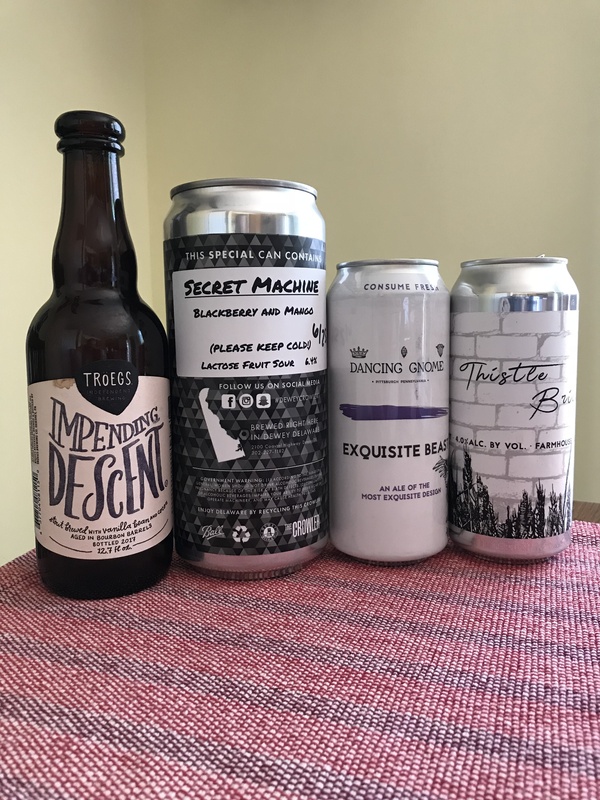 A warm-up beer segues nicely to a discussion of the somewhat old topic of questionable Trillium business practices and how the company responded when the word got out. 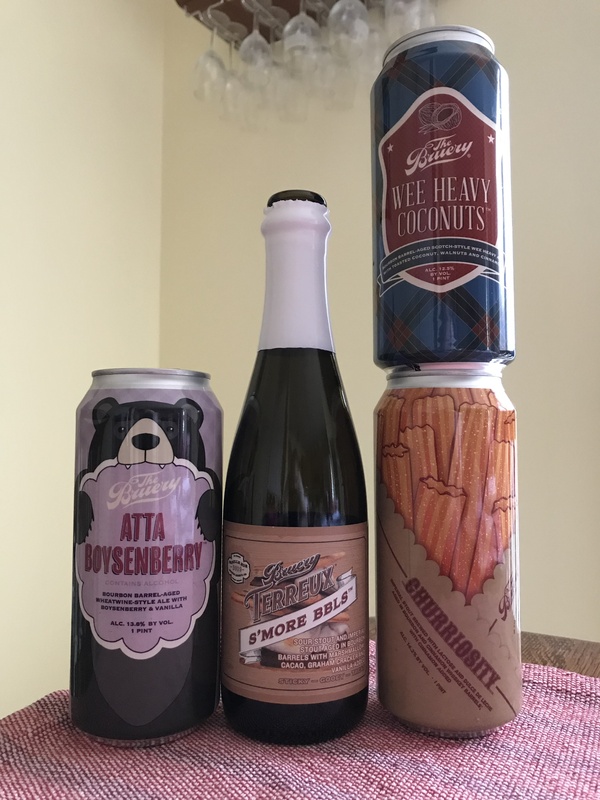 One more On The Shelf episode, four more beers. Carlin does this one solo with three of the beers tying in to the most recent deca-sode. Some people go out and whoop it up for the New Year. 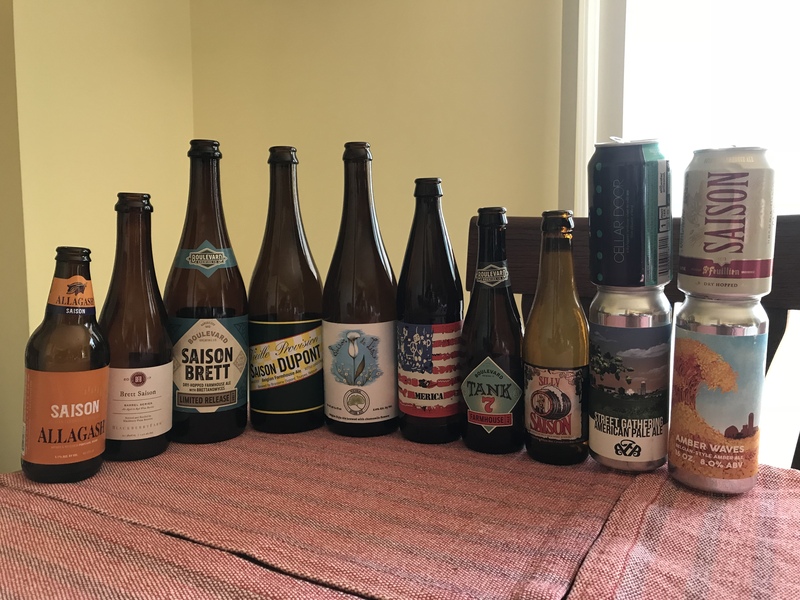 Carlin and Rebecca decided this time to record a podcast episode featuring a multi-course meal paired with four different beers. One of the pairings ends up being a surprising success. 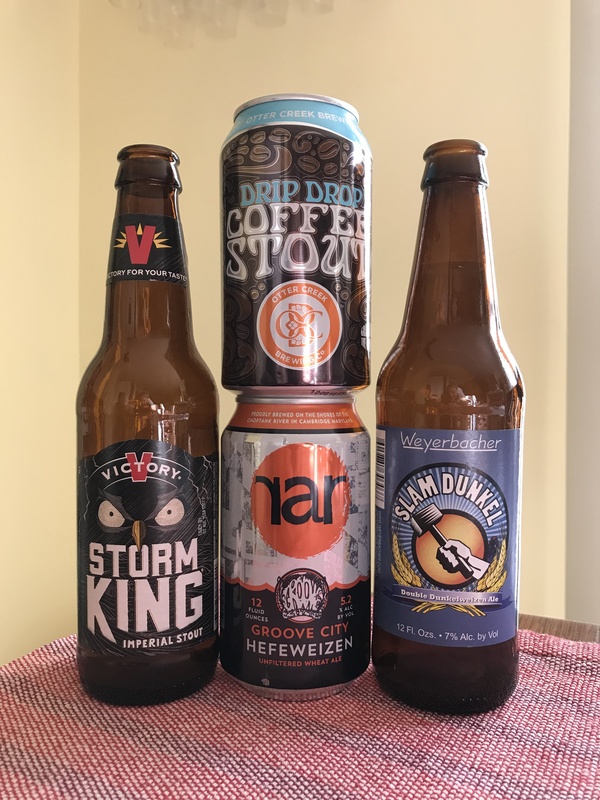 Two high ABV beers come to the table, along with two that are significantly lower. 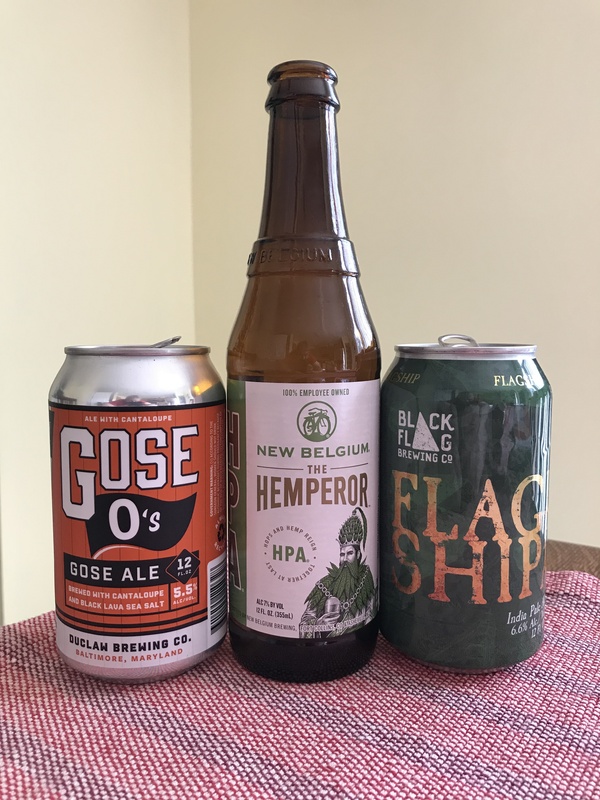 Rebecca chooses a hoppy beer that’s offered once a year, while Carlin pulls in the biggest whale the podcast has ever featured. 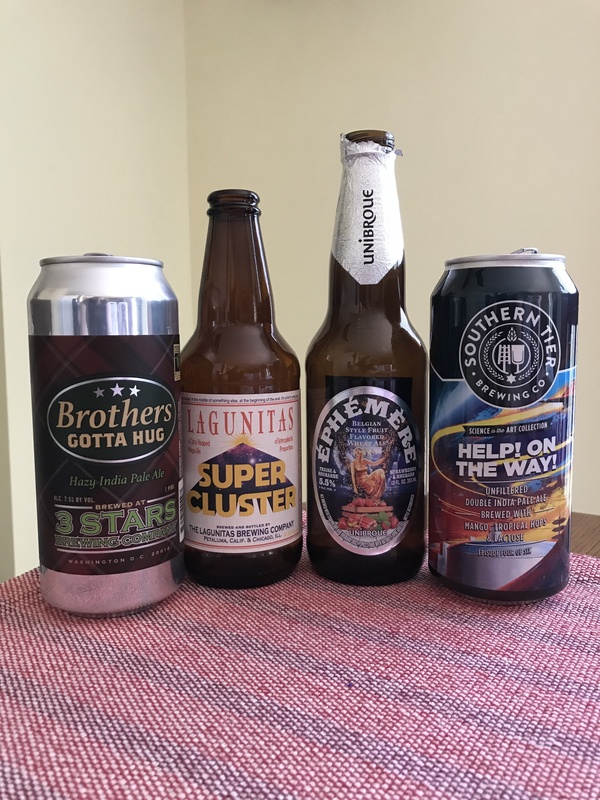 Doing another solo episode, Carlin decides to talk about how the craft beer scene has changed since he started his love affair with it in 2006. This is capped off with four mystery beers. Carlin sits down for a solo episode to talk about Sierra Nevada’s recent charity campaign to brew Resilience IPA. All proceeds go to fire relief funds in California. After asking other breweries to do the same, over 4,000 have answered the call (number as of December 5, 2018). Rebecca calls an audible and demands another On The Shelf episode, but this time with a seasonal twist. In turn, Carlin calls his own audible by adding a fifth beer to the tasting line-up. Most of these buck the winter trend, but do they still feel right for the season? This is the final showcase episode from Carlin and Rebecca’s Portland, Maine vacation and it’s the biggest. From tour to taproom and coolship to cool atmosphere, this place has it all for a true craft beer travel destination. 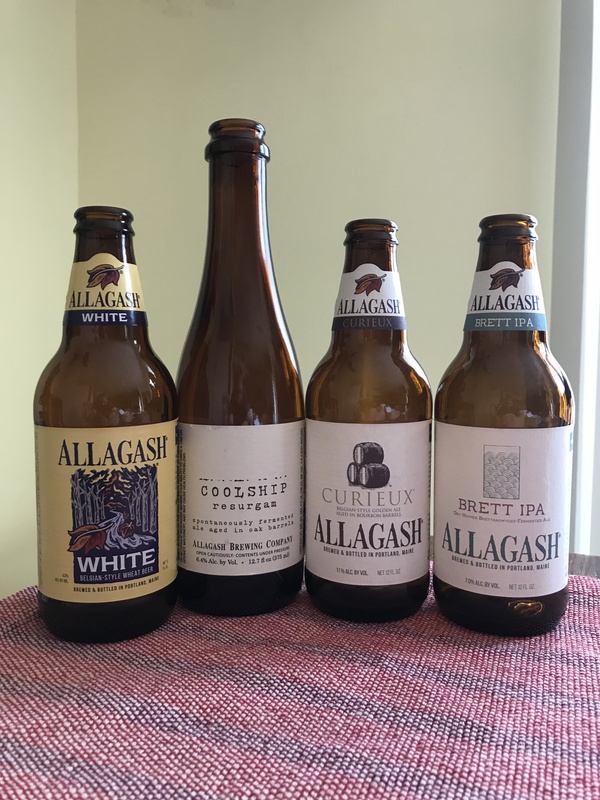 All four beers for this episode were provided by Allagash and were hand-selected by Lindsay Bohanske. Sponsored by the brewery itself, Kevin Broydrick from Bissell Brothers supplied five tasty beers for this showcase. 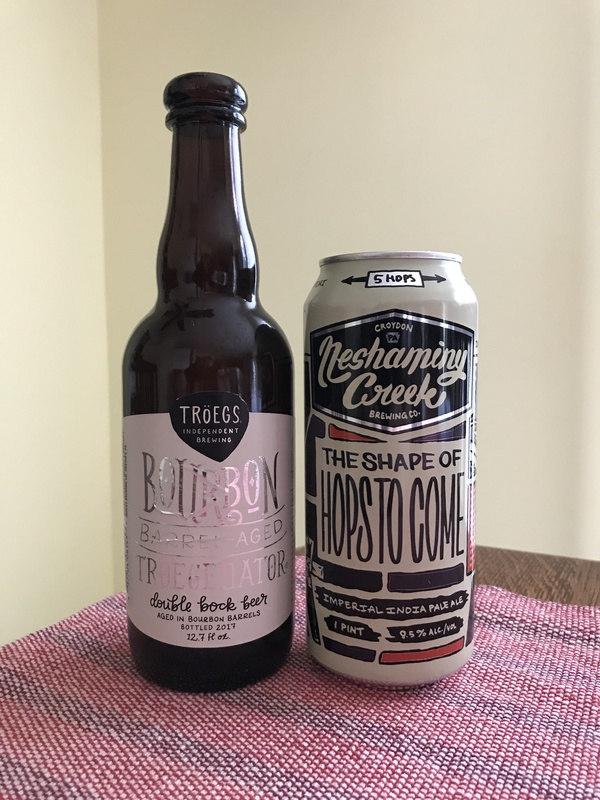 Not just drinking the beer, Carlin and Rebecca give the brewery history and tell of their experiences from their recent visit to the Thompsons Point location. 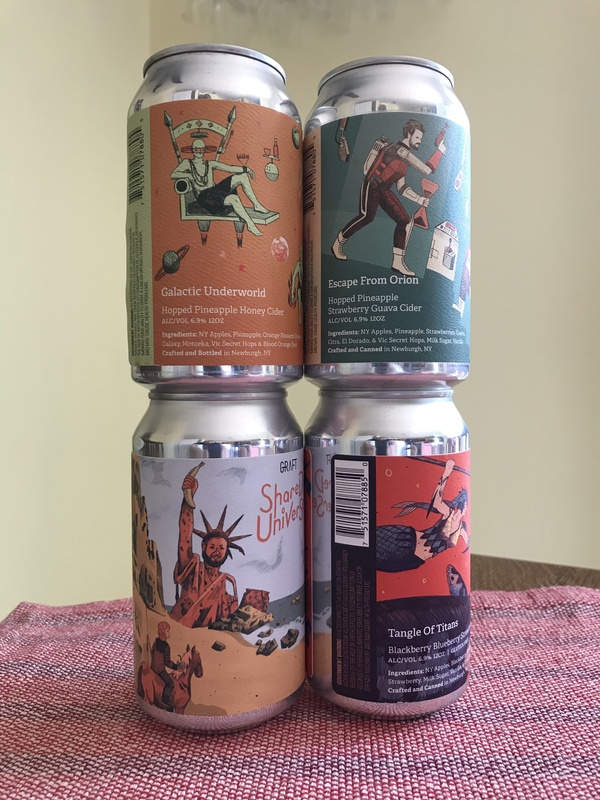 Loud beer from a quiet place is the slogan for this unconventional brewery. 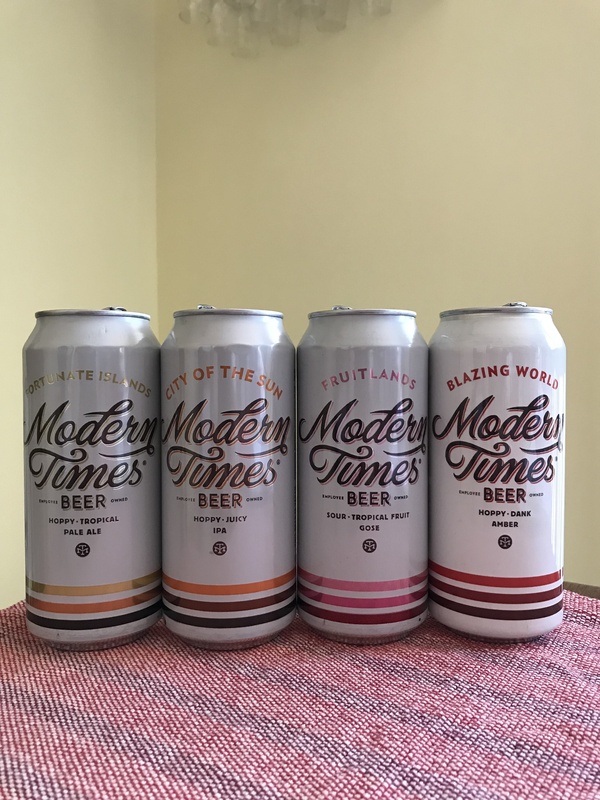 Listen as Carlin and Rebecca talk about the history, beers and their personal experience with this brewery. 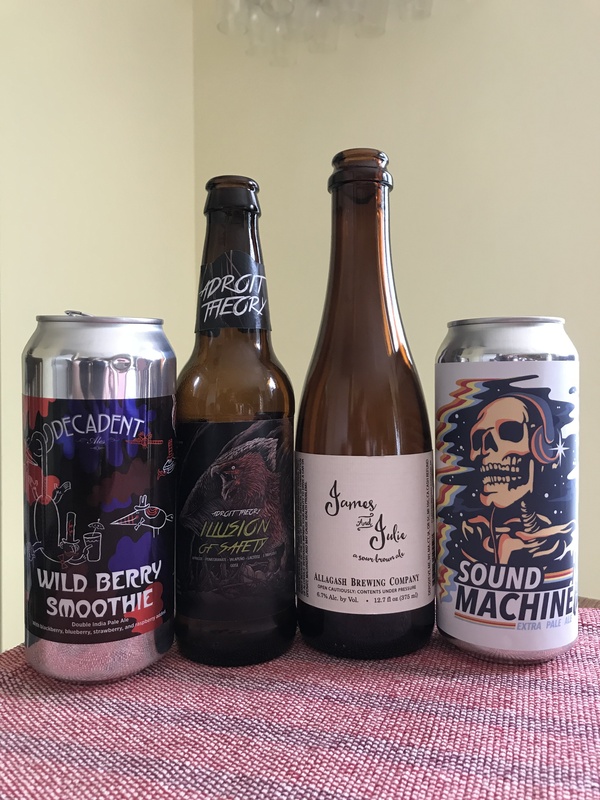 The four beers tasted for this episode were provided by Oxbow and personally selected by Head Brewer Mike Fava. Another vacation happened, and yes, it was centered around beer and food. Here is a breakdown of Carlin and Rebecca’s recent vacation to Portland, Maine. 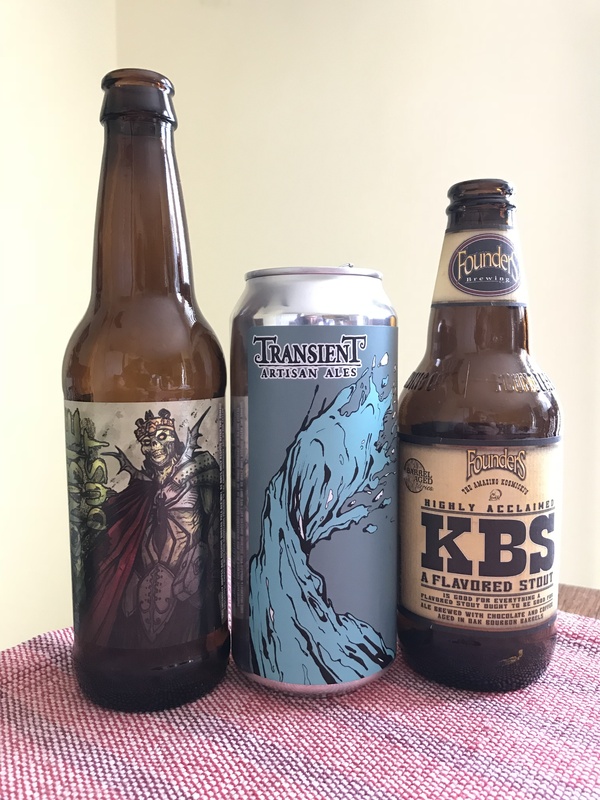 Beers from three lesser-known breweries are tasted and one that is well-established. 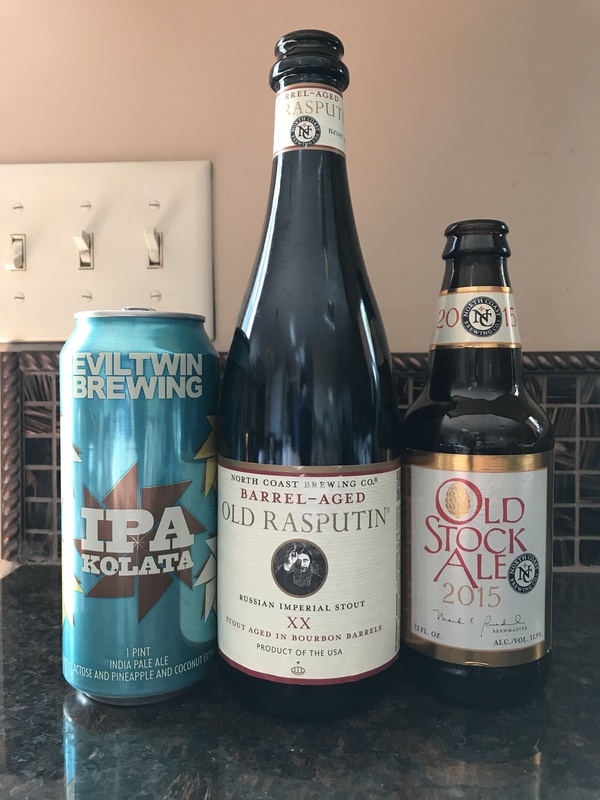 This Cellar Dive episode is all about vintage beers, two sour and two malty. 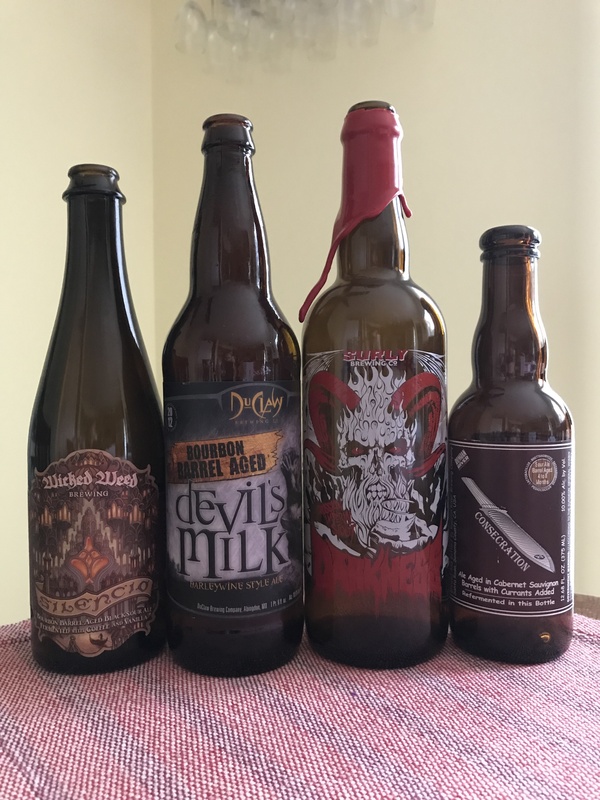 How do some highly ageable beers taste after a stint in Carlin’s cellar? And who picked the best two for the episode? 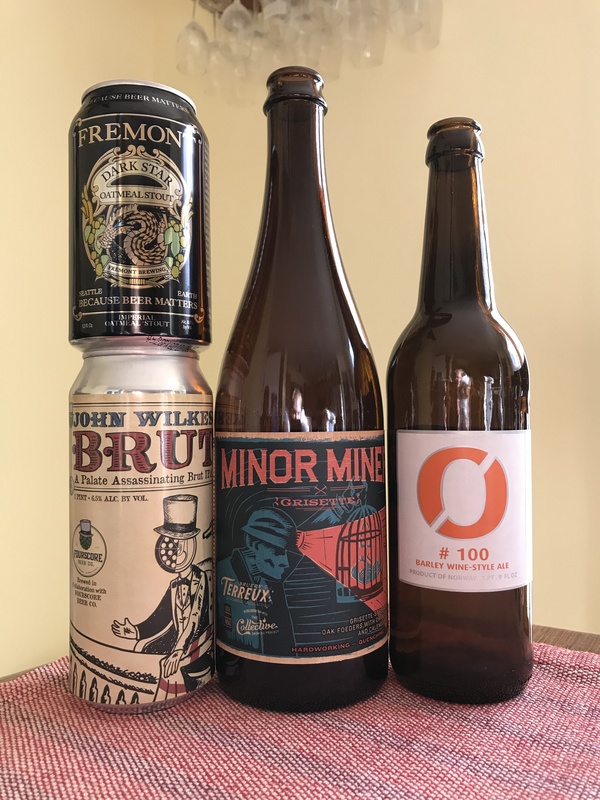 Feeling like he may have hijacked the last episode a bit, Carlin steps back a little to have Sean Creel talk more about his current job with The Bruery. 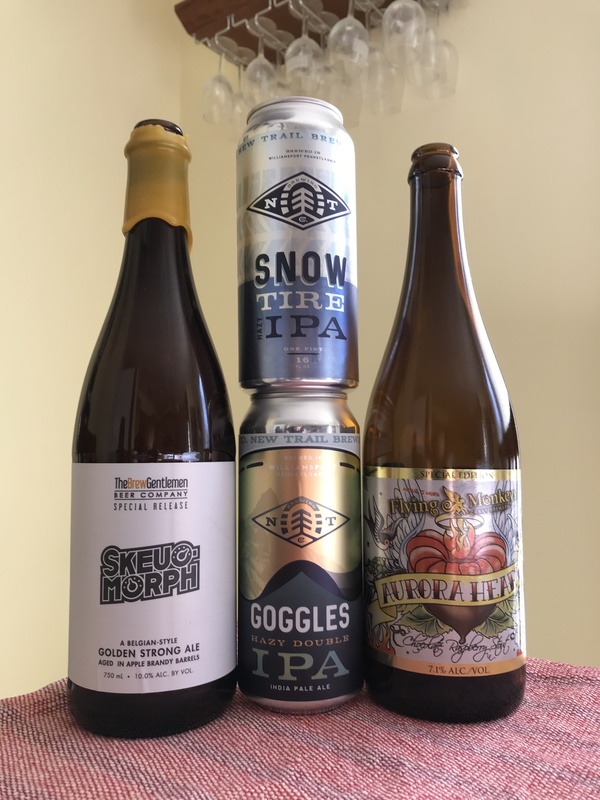 Sean Creel makes a return to the show to talk about his new beer industry job. This leads to a discussion about the beer society structure created by The Bruery. The last On The Shelf Episode wasn’t that long ago, but Carlin and Rebecca saw a need to do another one. 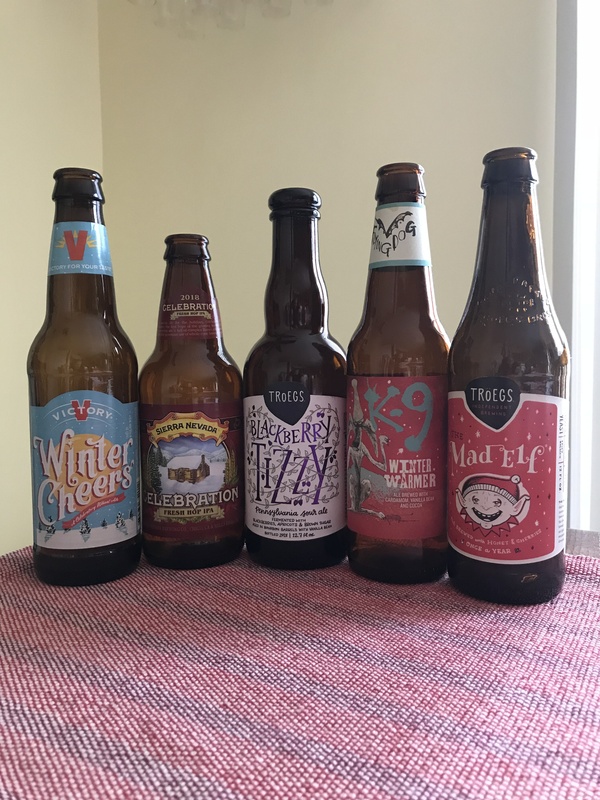 The four beers in this episode are seasonal and usually not enjoyed by either host. Maybe a few new twists on an old fad will help change their minds. 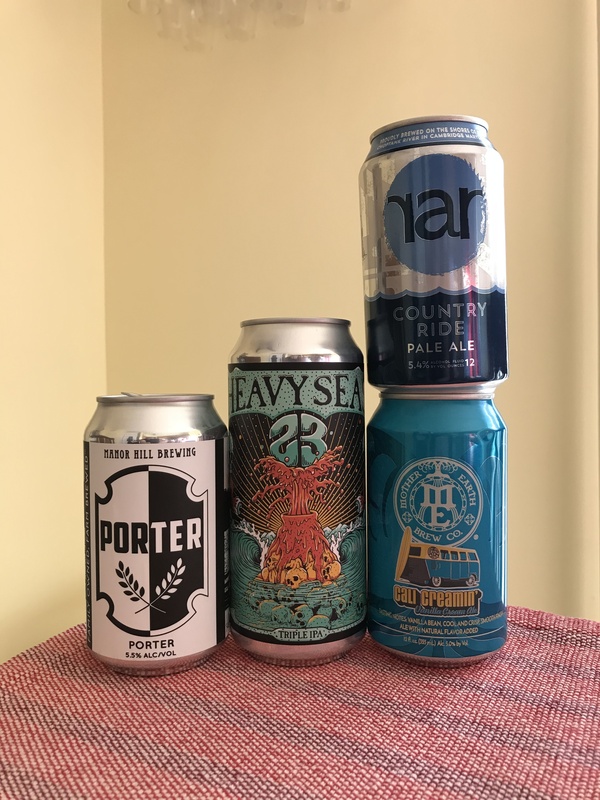 This episode starts with a warm-up beer from a brewery Kyle Norman has never tasted any offerings from before. Then, he and Carlin discuss a lawsuit between Pabst and MillerCoors, hoping the two sue each other into oblivion. The Beer Me Bro game with Kyle Norman concludes with an exciting end. Then, the guys get hit with some surprises when they eventually reveal the mystery beers. It’s that time of the year when Carlin goes to the beach and records with Kyle Norman. 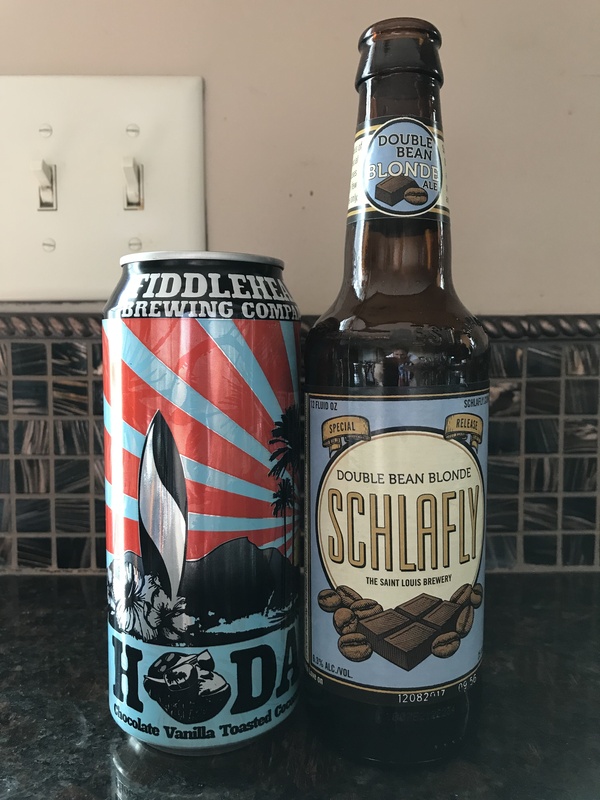 As tradition would have it, the two play the newest installment of the Beer Me Bro beer name game. Carlin usually comes up short, but will this time be any different? 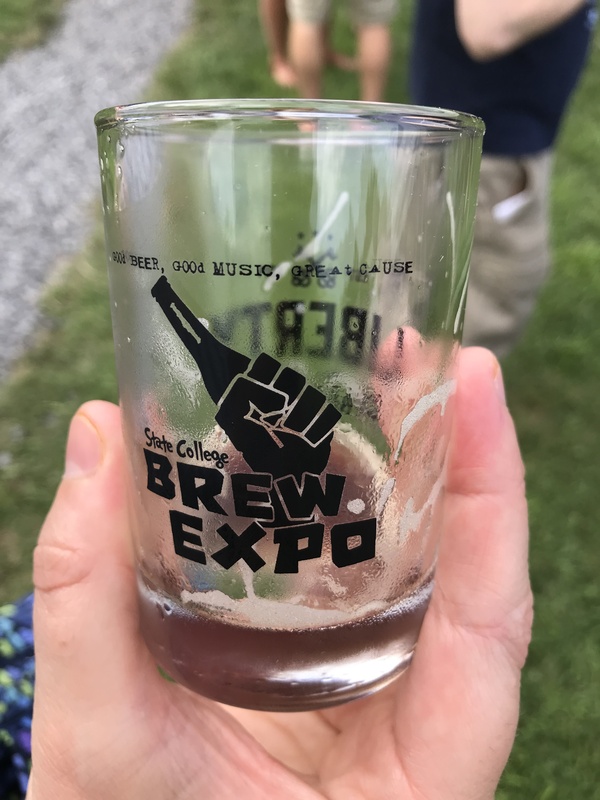 After plenty of encouragements from Kelli and Kyle Norman, Rebecca and Carlin finally traveled to Pennsylvania for the State College Brew Expo. 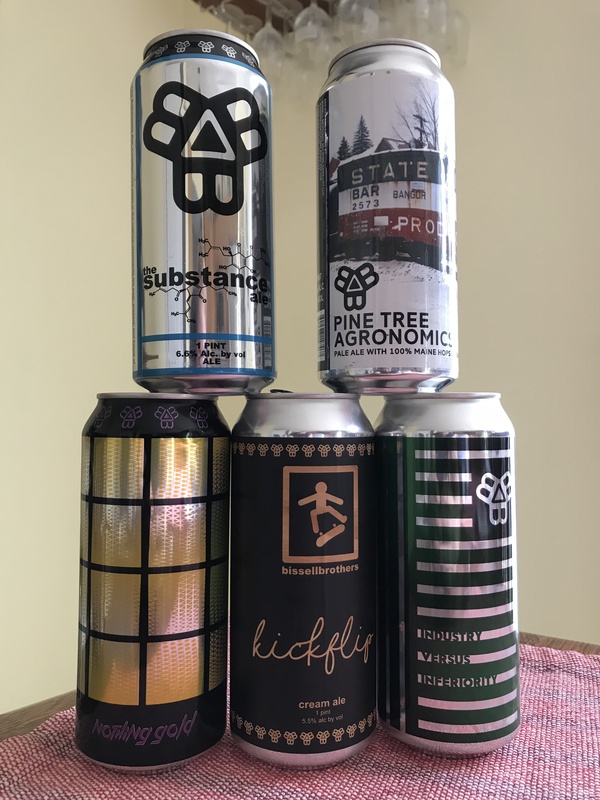 The outdoor beer festival focused on breweries solely from the host state and offered glimpses of a lot of new breweries. 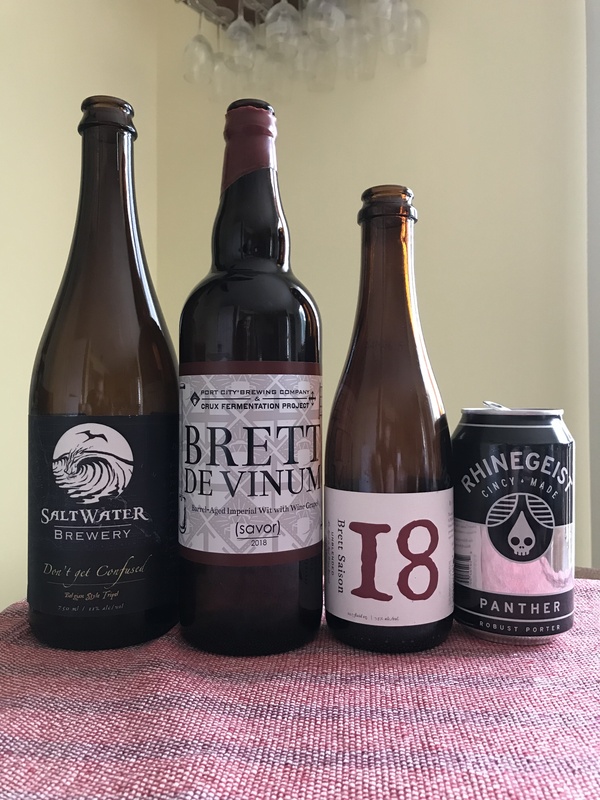 For this episode, Carlin grabbed four fresh beers off the shelf of his local liquor store. One from a brewery he has tasted virtually nothing from, and three he hasn’t tasted anything from in multiple years. 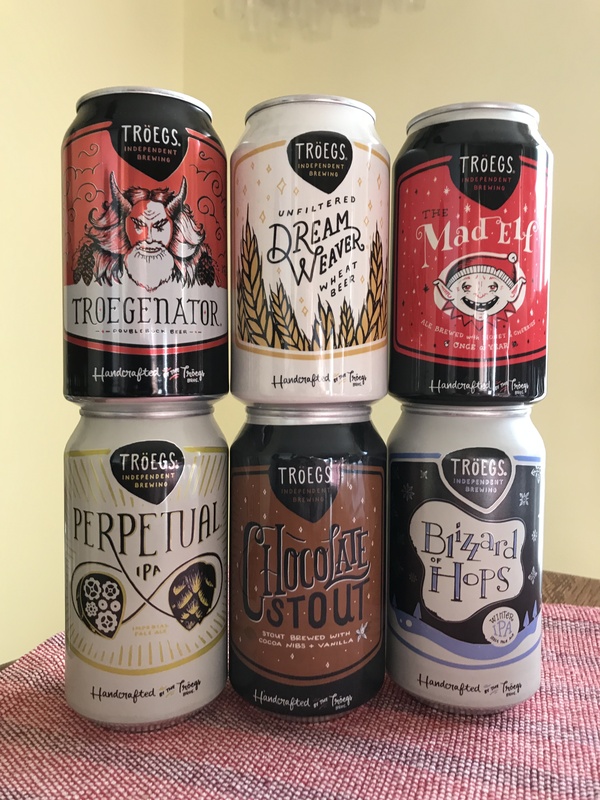 For this deca-sode, Carlin and Rebecca focus on a lighter style of beer. Some come off a little harsh, while others are very finessed offerings. A few bumps in the road keep this large blind tasting interesting, keeping both hosts on their toes. 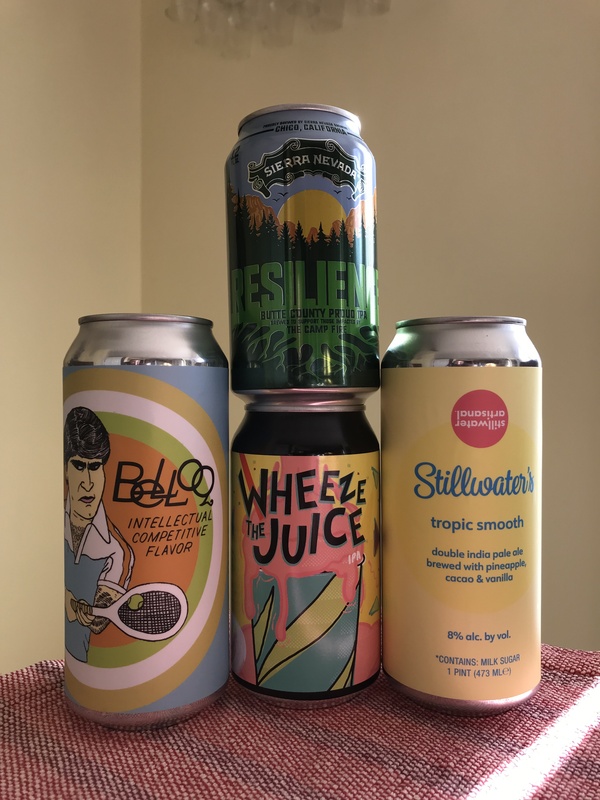 Rebecca grabs the reins of this showcase episode to highlight the fact that not just breweries deserve to have the spotlight shone on them. Cider is the main topic as Rebecca and Carlin explore some exciting offerings. 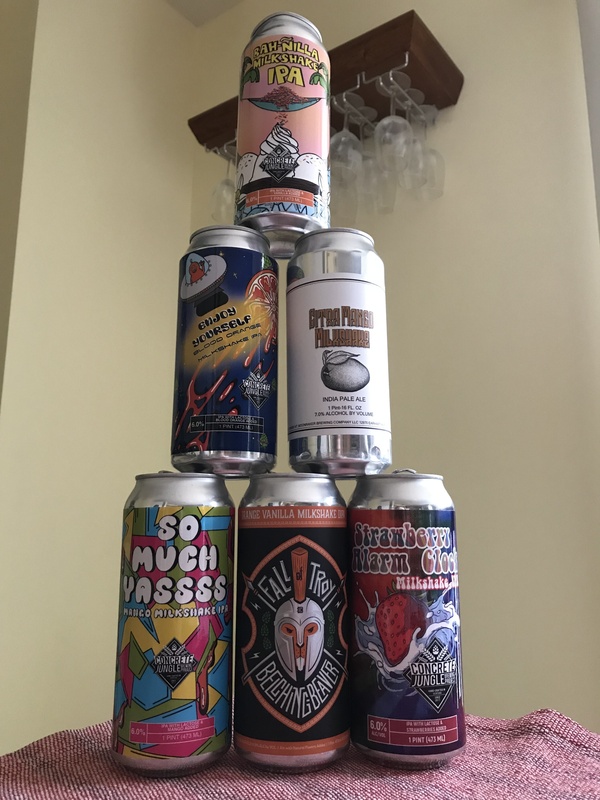 Taking a slightly different approach to this episode, Carlin and Rebecca discuss their current favorite breweries in Maryland and the rest of the country. Then, one of the mystery beers turns both Carlin and Rebecca off like no beer ever has. Carlin brings up an establishment in Denver, Colorado called Brewability Lab. Rebecca approaches the topic from a more insightful perspective as she and Carlin discuss its merits. Carlin kicks this episode off with a correction fro the last brewery showcase episode, much to Rebecca’s surprise. 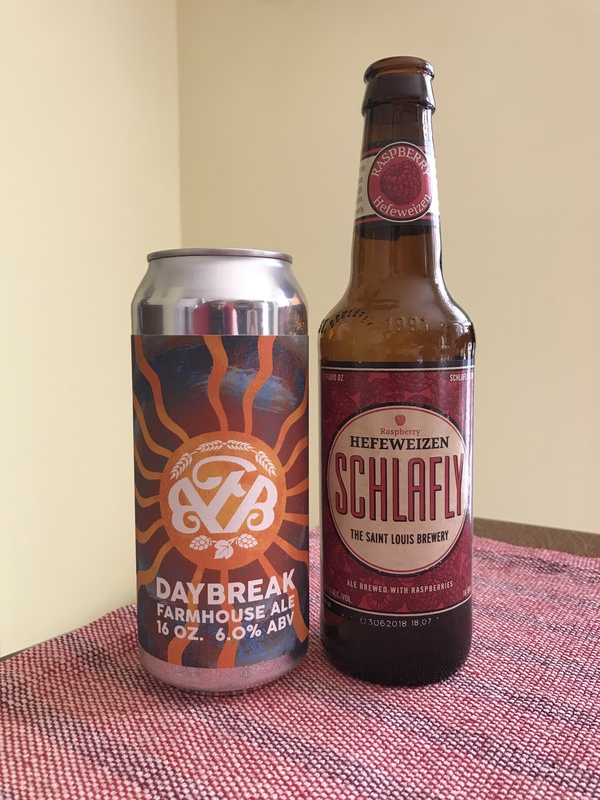 Then the two discuss some recent beer destinations they hit up in the Washington, DC area. 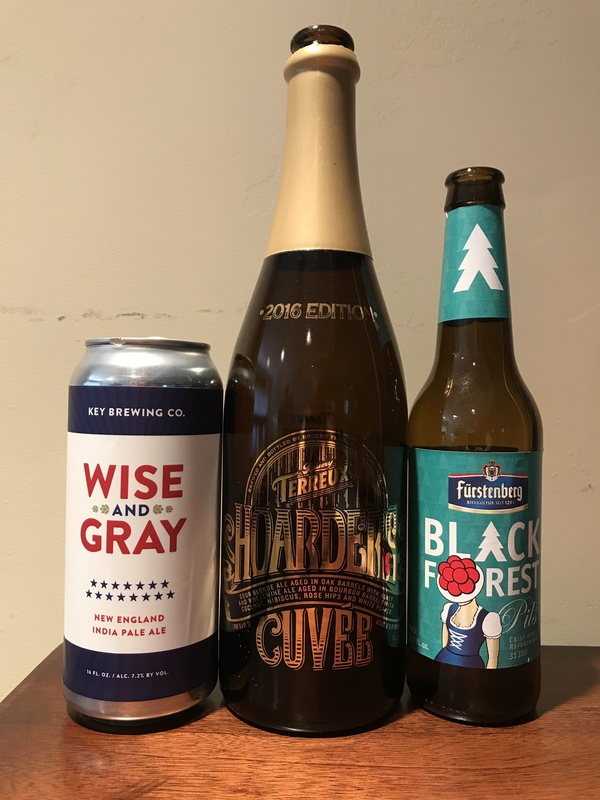 Carlin and Rebecca checked in with Joshua Rodriguez at Wine World for some beer that hit the shelves within the past month. 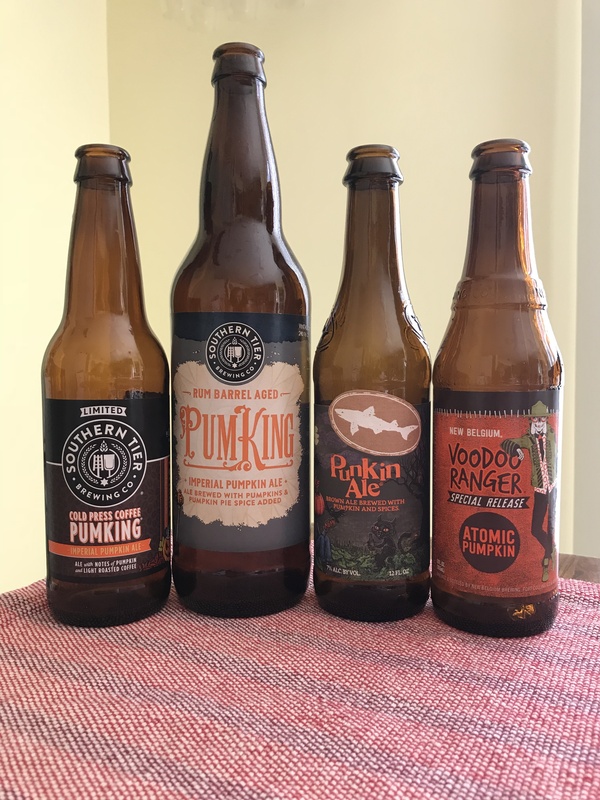 Here is a breakdown of four of them, all tasting pretty nice. 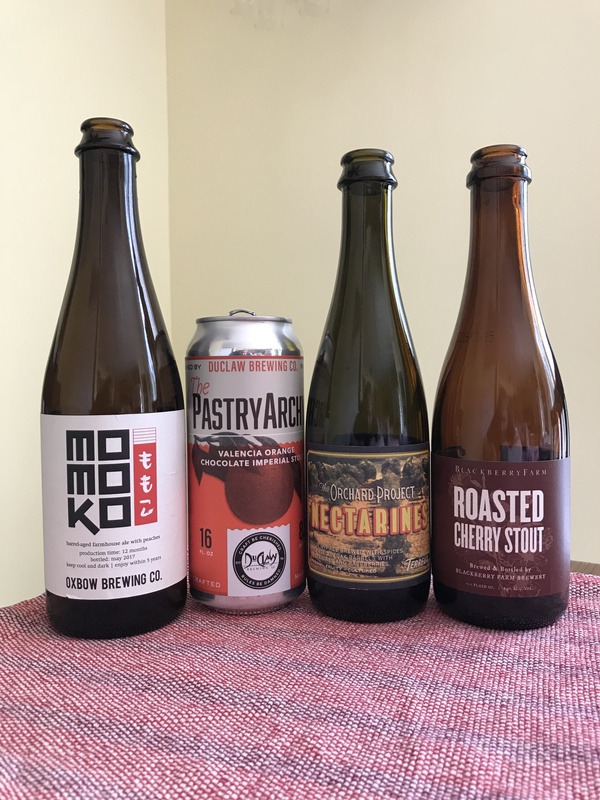 Taking a little different approach to this beer and food pairing episode, Carlin and Rebecca taste some chocolates and caramels made with beer from French Broad Chocolates out of Asheville, North Carolina. 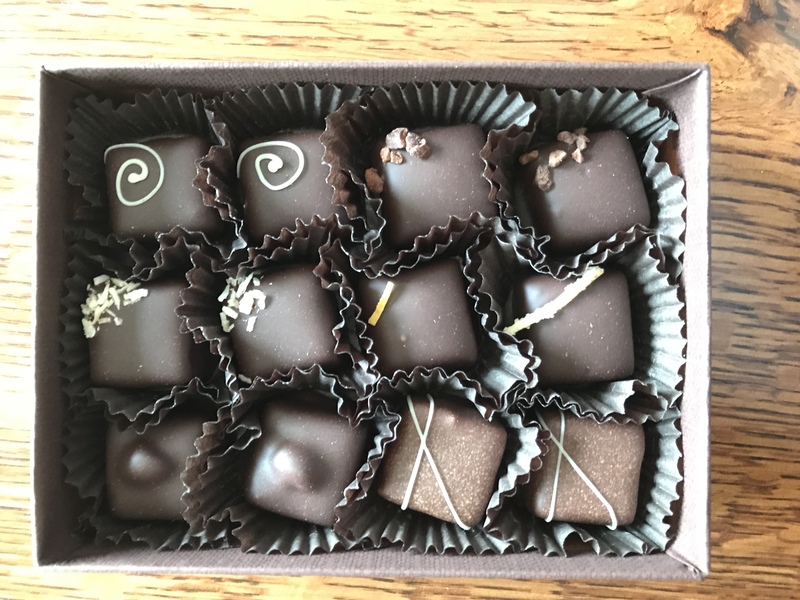 And, although there are no beers to pair with these chocolates, the hosts still drink and evaluate a few. Savor happened once again, and Carlin and Rebecca put another year of covering the event in the books. 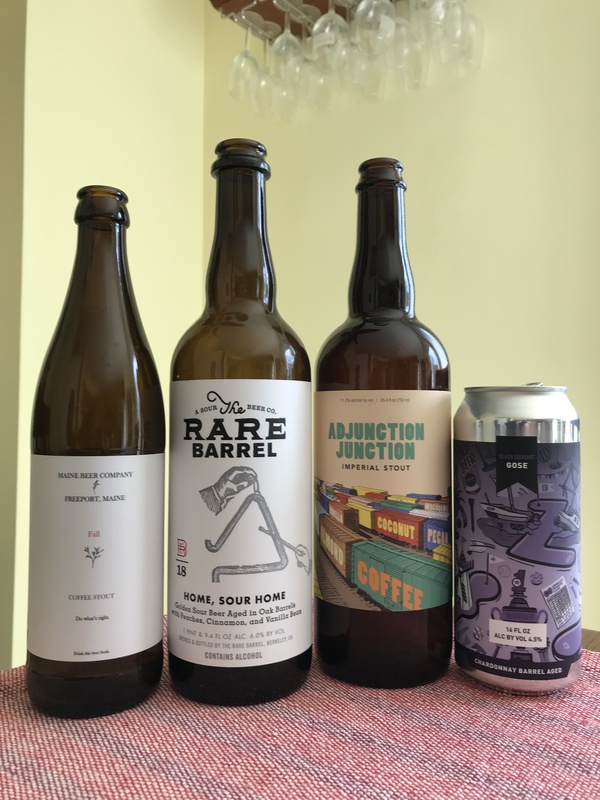 For their fourth year of Savor, the two focused on trying to taste offerings from lesser-known breweries. The full breakdown of the event takes place in this episode, accompanied by four beers. 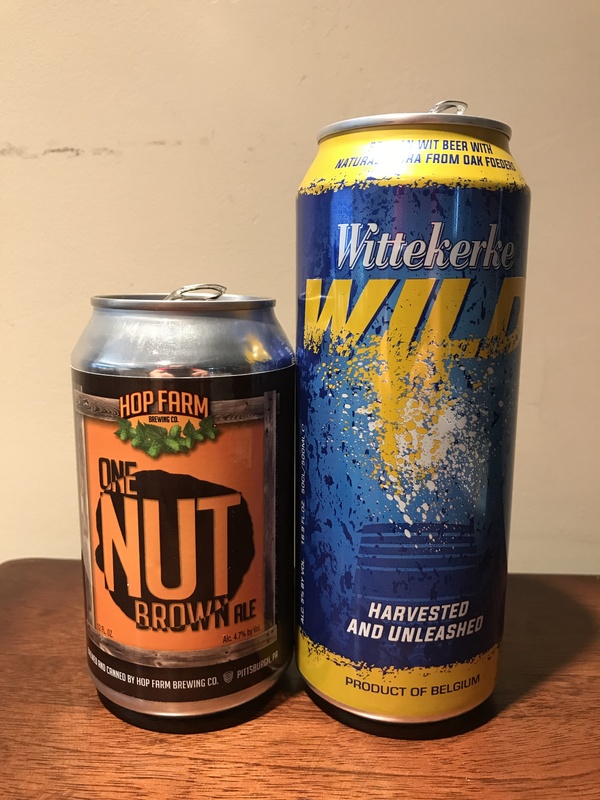 Carlin and Nathan Kalasnik talk about what a local liquor store chose to add to a tasty IPA, sending Carlin over the edge a bit. The guys then give some recommendations for doing your own beer infusions at home. 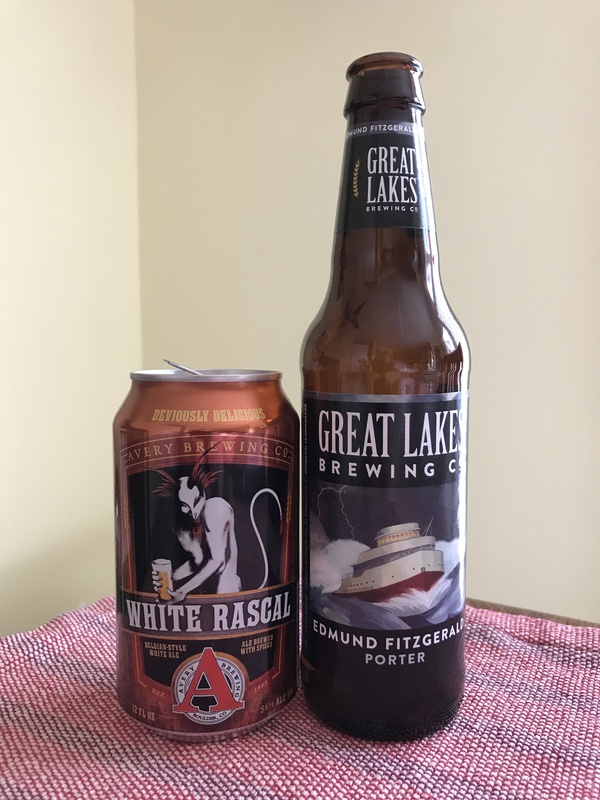 Carlin and Nathan Kalasnik start the episode with another warm-up beer before moving to a discussion about the craft beer landscape and a few breweries in financial trouble. 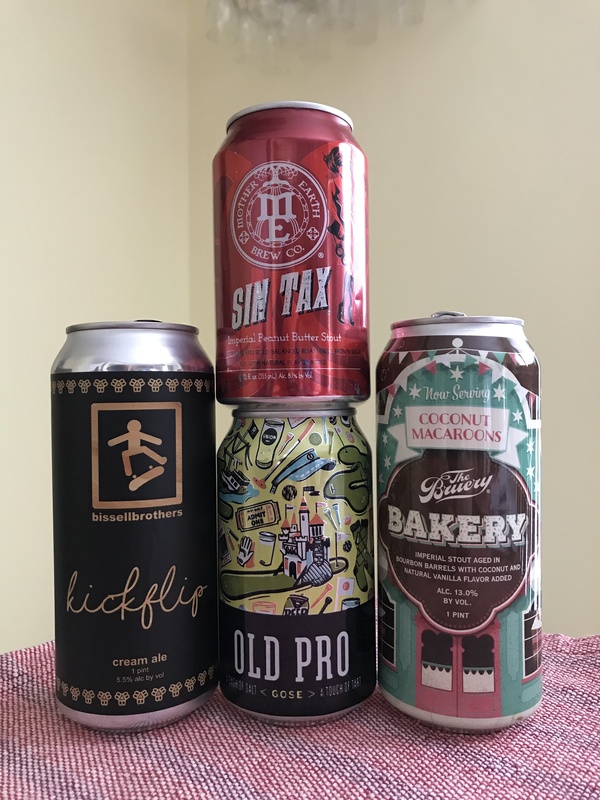 They then discuss some ways breweries need to change to remain relevant before trying some mystery beers that present interesting flavor profiles. 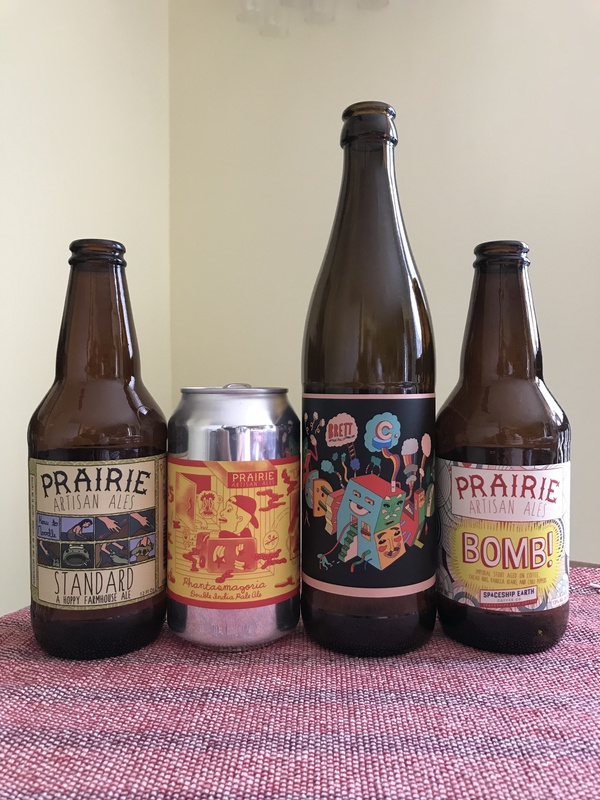 Nathan Kalasnik comes back for some episodes, the first of which features two warm-up beers from abroad. While sipping these beers, Carlin and Nathan discuss programs to place cats in breweries as rodent control. Carlin and Rebecca are competing again in the latest cellar dive episode. 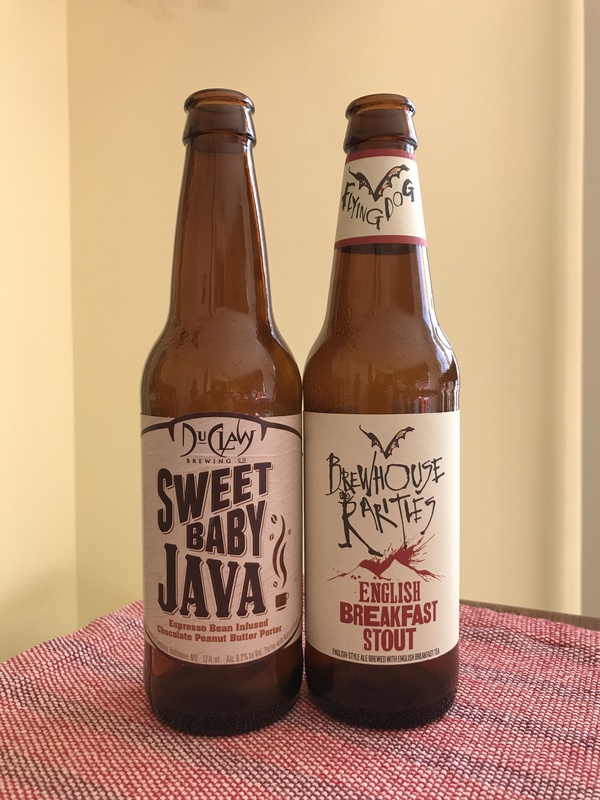 After choosing their beers, Carlin noticed a shared theme. 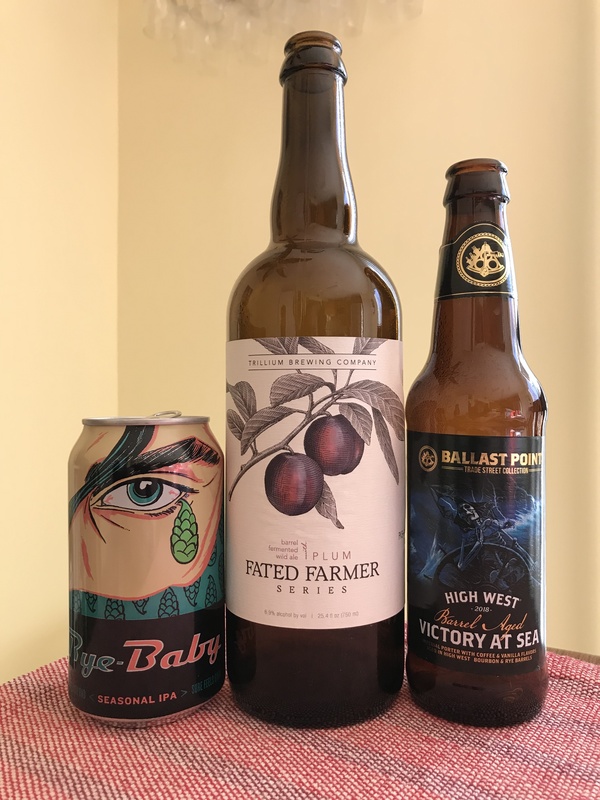 All beers feature some fruit, but which one does it the best? 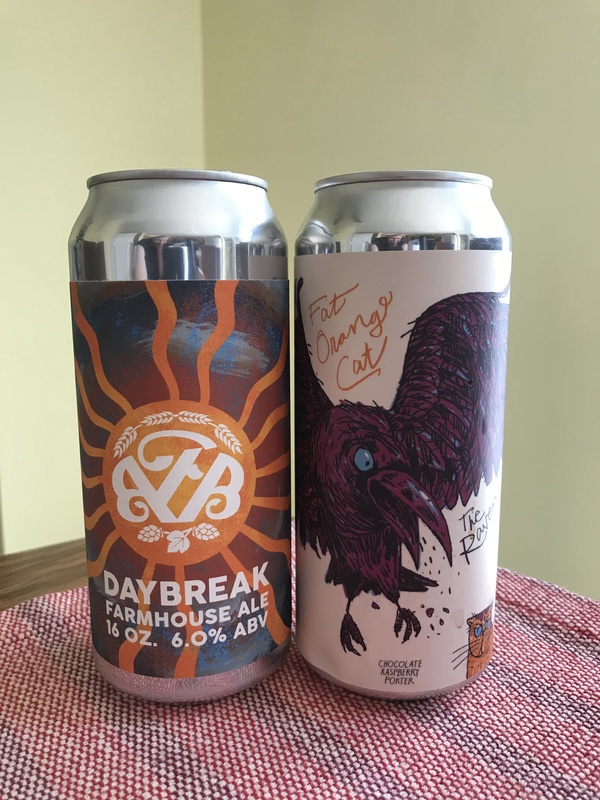 Excited about this brewery from Middle America finally making it to Maryland, Carlin had to give this one its own showcase. 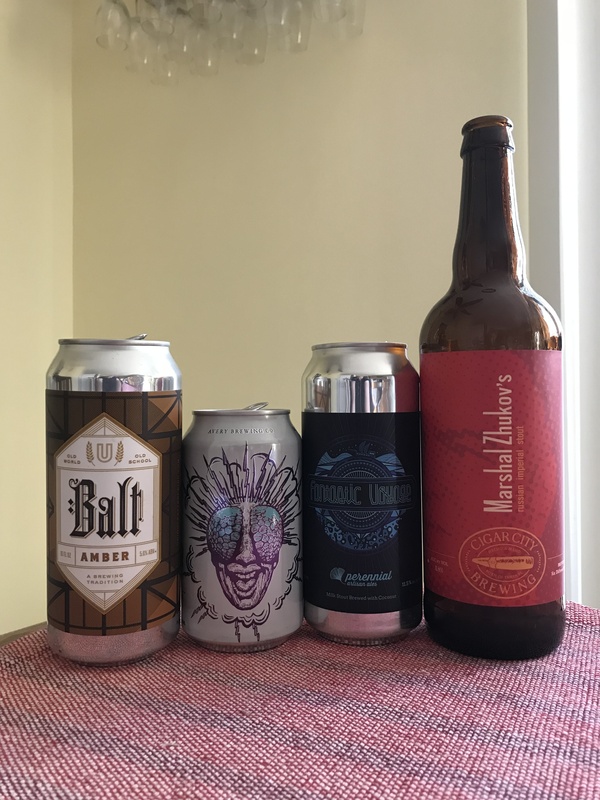 Experimentation and brewing for the love of the craft are the main driving forces, leading to some tasty beers for Carlin and Rebecca to consume on podcast.